James Akre is a freelance author, reviewer and commentator whose focus is the sociocultural dimension of the universal norm for nurturing and nourishing children, and pathways for making breastfeeding and breast-milk feeding ordinary again everywhere. His international public health and human development career, spanning five decades, includes a combined 31 years with the International Labour Office, UNICEF and the World Health Organization; and seven years working in Turkey, Cameroon and Haiti. He is a member of the editorial board and a reviewer for the International Breastfeeding Journal. 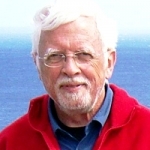 He is also a reviewer for the journals Maternal & Child Nutrition and Pediatrics, and for the Danish Council for Independent Research; a member of the Scientific Advisory Committee of La Leche League France; and a past member (2004-2010) of the Board of Directors of the International Board of Lactation Consultant Examiners (IBLCE). With an intermingling of the personal and professional, the presenter will fashion a cohesive narrative by drawing on his memories of childhood, his formative family experiences, his life and work in a variety of cultures on five continents, his career in international public health nutrition, and his passionate commitment to breastfeeding and breast-milk feeding. In the presenter’s vision of ho-hum ordinariness, the best place to be is where all people, regardless of whether they ever become parents, are not only eager for mothers and children to breastfeed; they also make the right moves – defined as the easy and obvious things to do because they are part of ordinary normalized behaviour – to ensure that everyone is in on the deal. In the jargon of marketing, rebranding involves adjusting a product’s image and promotional strategy, the better to penetrate new markets or increase market share in existing ones. We can approach human milk this way, too, in an effort to shore up Mother Nature’s market share in the presence of the synthetic dream merchants, meaning purveyors of breast-milk substitutes which are intended for routine – as opposed to strictly emergency – consumption.